#1 Oculus Rift Rental Co. Rent your Oculus Rift from the number one VR tech provider. From the latest equipment and best event planning process to a huge VR game library and on-site professional staffing, we're here to help..
Leave it to us! 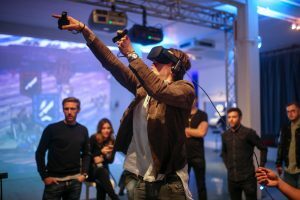 We know that you have plenty on your plate, so our VR experts will come equipped with the latest tech for your virtual reality event activation. Is your team ready to go? We can provide all of the necessary equipment to guarantee a top notch VR experience for your guests. The Oculus Rift is one of the most popular, user-friendly, and tech-forward VR headsets available. With the Oculus Rift, you can explore completely immersive virtual environments as well as play amazing an impressive array of VR games. The Oculus Rift is great for kicking your next event up a notch. The Rift, originally gaining widespread recognition through its groundbreaking Kickstarter campaign, was bought by Facebook in 2014, and throughout that process, those developing the Oculus have always focused on not only incorporating top-notch technology, but also making the headset comfortable for the user. This level of comfort is achieved through an extremely lightweight design. Plus, if you wear eyeglasses, the Oculus Rift has plenty of room inside the headset so that you’ll never have to worry about taking them off in order to experience virtual reality. 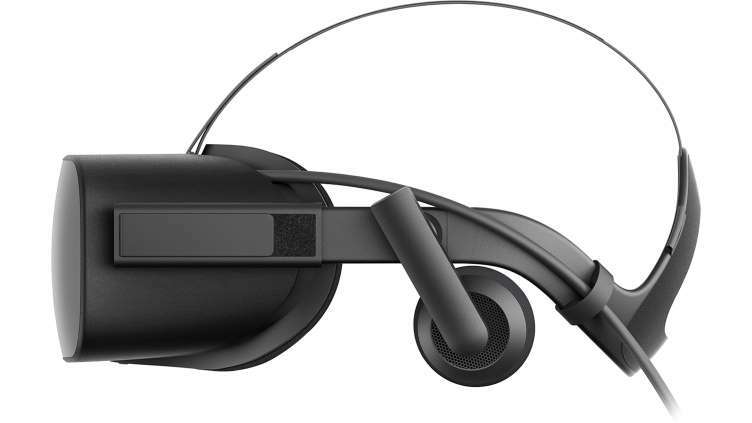 The headset itself is equipped with special, high-definition VR lenses that allow for a large field of view, ensuring that you never miss any aspect of your virtual world. In addition, as you explore in VR, you will be looking through lenses with a 1080 x 1200 resolution able to showcase your new environment in high detail. In addition to the headset, the Oculus “Touch” controllers have also been designed to provide the absolute best VR experience possible. Incorporating an intuitive, natural design that tracks both the movement of your hand as well as the position of your fingers, there is no VR controller that can match the immersive qualities present in the Oculus “Touch”. Of course, using the name “Touch”, developers were also aware that the controllers touchpad had to be the best on the market, and they delivered. It offers unparalleled control while interacting with virtual objects and allows for creativity in Oculus Rift gaming experiences that other headsets just can’t match. While wearing the headset, and holding the controllers, your movement is tracked using “Positional Trackers” that make sure you are able to move around inside your VR experience without any interruption. Overall, the combination of headset, controller, and tracker give the user an amazing virtual reality experience that you have to see to believe. 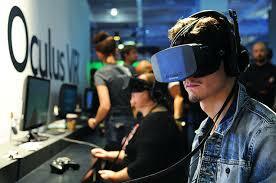 With Oculus Rift, there is no limit to what you can experience in virtual reality. 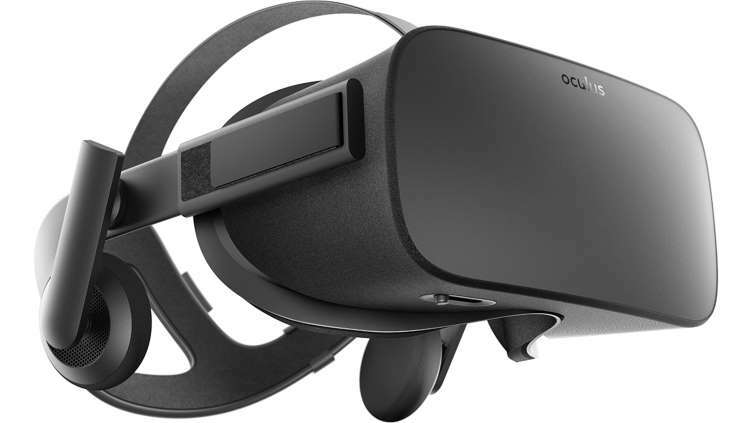 Already with an impressive list of games and experiences, the Rift’s affiliation with Facebook only promises more and more innovative experiences to be designed specifically for Oculus users. If you want a virtual reality experience that you will never forget, the Oculus Rift is a great choice. "As soon as you put on the Rift, you are transported to a whole new world." "You simply must try the Oculus Rift. It's breathtaking." "VR is an awesome experience!" "This thing is insanely awesome"
"Wow, I never imagined it would be this cool"